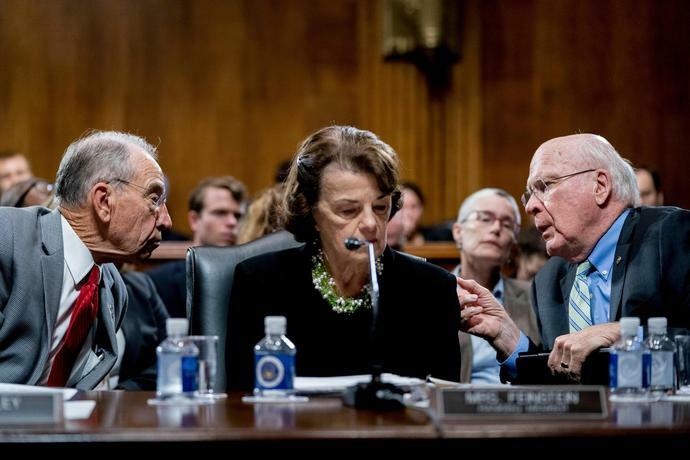 (WASHINGTON) - Sen. Dianne Feinstein, the top Democrat on the Senate Judiciary Committee, said Thursday she has notified federal investigators about information she received - and won't disclose publicly - concerning Supreme Court nominee Brett Kavanaugh. "Throughout his confirmation process, Judge Kavanaugh has had 65 meetings with senators - including with Senator Feinstein - sat through over 30 hours of testimony, addressed over 2,000 questions in a public setting and additional questions in a confidential session. Not until the eve of his confirmation has Sen. Feinstein or anyone raised the specter of new 'information' about him," said Kerri Kupec, a White House spokesperson.